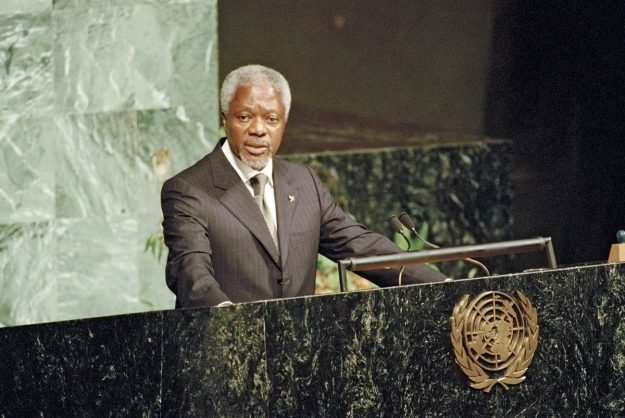 Former United Nations secretary general Kofi Annan had a vision and passion for Africa and worked to the very end to achieve peace on the continent, UN Women executive director Phumzile Mlambo-Ngcuka said on Friday. “He literally fell with his boots on like the good peacekeeper he was,” said Mlambo-Ngcuka, who was among the speakers at a special memorial service held by UN South Africa in Pretoria. Annan, 80, died in Switzerland on Saturday. Mlambo-Ngcuka recalled how one of the last events Annan’s attended was in South Africa. Annan made an appearance at the centenary celebration for Nelson Mandela and she reminded the audience of how he politely obliged requests to stay a little longer despite not being in the best of health. “That was the calibre of the man,” she said. The Nobel Peace Prize laureate was also part of The Elders, a team of elder statesmen and women, peace activists and human rights activists brought together by Mandela in 2007.